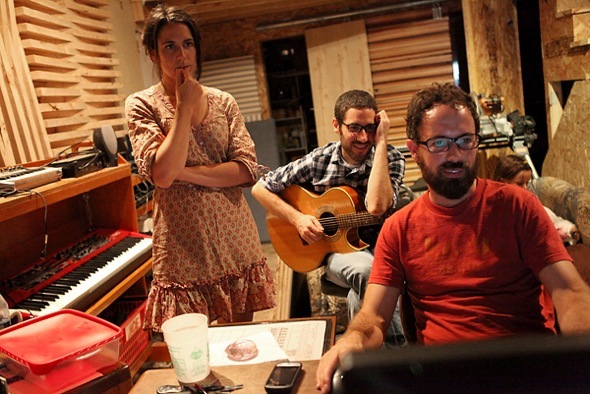 From left, Megan Rooney, Jeff Albert, and Wil Reeves discuss sound and editing at the Central Cellar recording studio in Columbia on Friday evening July 30. This is Rooney’s third session working with Wil Reeves who she also went to highschool with. She made the drive from St.Louis specifically to record with him.